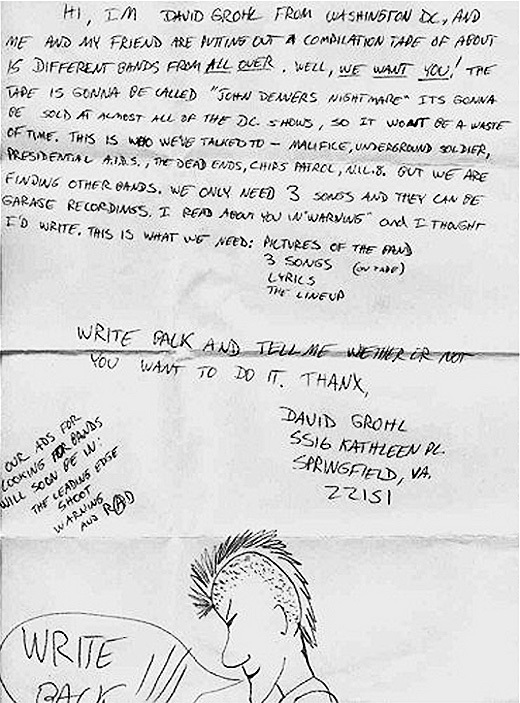 According to this illustrated letter to Seattle-based band Aerobic Death in 1984, Dave Grohl was compiling and selling mixtapes with his friends at the age of 15 — this particular compilation bearing the name "John Denver's Nightmare." Two years later, 17-year-old Grohl dropped out of school to become the drummer for punk band Scream. A few years after that, he was a member of Nirvana. Transcript follows. Image courtesy of Matador Records.